​The labs are carefully planned and designed so each student can easily see the teacher and has space to work comfortably. 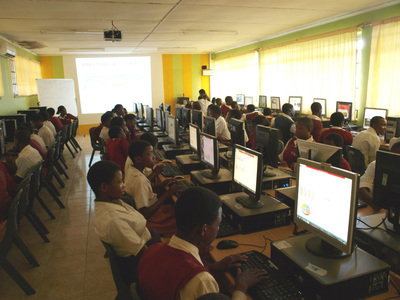 The teacher is able to prepare in advance for their lesson using the laptop and the projector enables them to use visual aids when taking their class, an essential tool for learning. The schools chose their own colour scheme for the room and some are brighter than others! 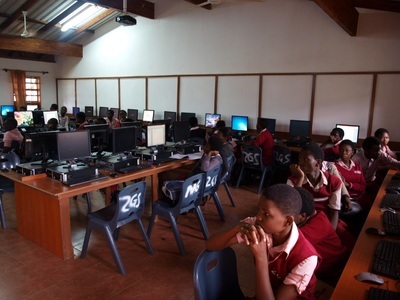 We would like to provide more schools in Africa with similar facilities to improve students' digital education, you can help us by making a donation today to our e-Learning lab appeal. 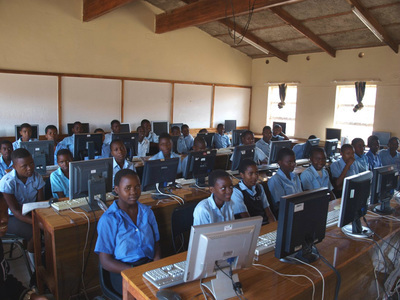 You can click on the map below and read about all of our projects in Africa.